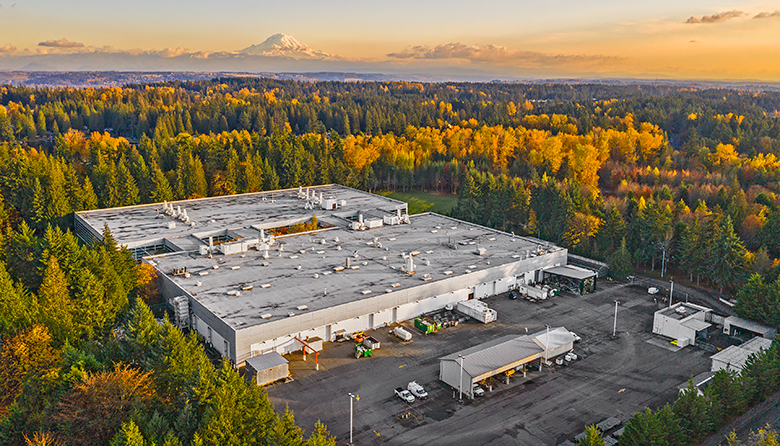 Industrial Realty Group is still seeking a tenant for the former 411-acre Weyerhaeuser campus site. The owner and developer of the former Weyerhaeuser campus in Federal Way is opening the iconic headquarters building to the public for the first time as it continues searching for a tenant. Los Angeles-based Industrial Realty Group LLC has scheduled an open house to brief the public on its plans for the 411-acre campus, which was home to timber giant Weyerhaeuser Corp. until the company moved its corporate offices to Seattle’s Pioneer Square neighborhood three years ago. IRG, which has developed projects across the country, bought the campus three years ago this month and recently renamed it Woodbridge Corporate Park. It is still seeking tenants but says on its website that the new corporate park will create a mix of high-paying office and-light industrial jobs. The company said the project would restore about half of the 6,500 jobs lost when Weyerhaeuser left, as well as tax revenue to Federal Way. The privately held company has said it will create several new light industrial-style buildings on the site that would cover about a quarter of the campus. IRG plans to modernize the 337,000-square-foot headquarters building. Nearby residents have expressed concerns about traffic and environmental impacts, including access to nearby open-space areas. The open house will be held Wednesday, Feb. 13, from 5:30 p.m. to 7:30 p.m. in the headquarters building at 33663 Weyerhaeuser Way South.